And welcome to The Luvdisc Alliance! This is one of the original clans of the Pokehax forums, and will hopefully turn itno a respectable battling force! We participate in clan wars and all around participation in forum activities. Now, onto the details! - SPAM shall not be tolerated. - You must treat all members with respect. - All posts must be clan related. - You may not be in another clan and still be in TLA. - Proper grammar is a must, inside and out of the clan thread. - We battle using Shoddy and Wifi, so feel free to apply by batling on either! To battle with us, you must follow standard battling rules. They are as listed below. Now have fun and Batle your heart out! 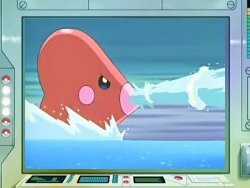 The Luvdisc Alliance Vs. The Great Gurren Brigade! lol good luck with the clan im sure with all the people we have your clan will be full. I'm just geting it started, because we are getting new members. I'm joining this! Luvdisc forever! Accomplishments: Being born. It took a hell of a lot of courage to crawl out of there into the world. Alright, I am going to start you as 1 of my 2 generals. Welcome, Luvdisc Forever! Background: What should I write here? Accomplishments: So many things, that you don't want to know. Really, I can win a lot of battle. Accepted, you are my second general. Welcome! What am I suppose to do as a general? Generals are my main battlers and also try new members out. Dude, I lost my war battle. Good game, bro. This will be a hard war for my clan, but hopefully we can pull it through. You are both accepted. Have fun.